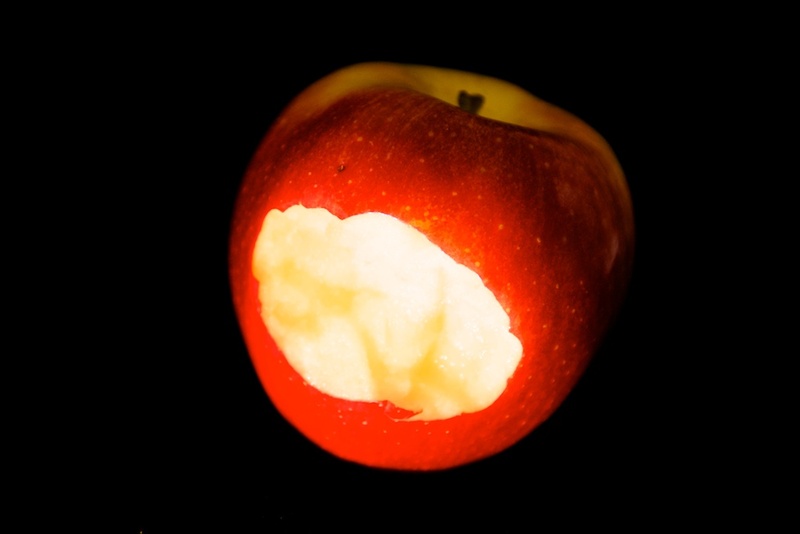 The white apple flesh is turning brown as it is exposed to oxygen in the atmosphere. This is an example of slow oxidation and fire is rapid oxidation. Oxidation occurs when oxygen combines with a substance on a molecular level.